*Prices exclude tax, tag, title, other governmental fees, freight and destination charges if any, dealer installed options, $799.50 Pre-delivery Service Charge and $183.52 Electronic Filing Fee. Prices includes all available rebates, incentives, customer cash, conquest, trade assistance, loyalty and military as applicable. Not all customers will qualify for all rebates. Photos for illustrative purposes only. Prices, specifications, and availability subject to change without notice. Contact dealer for most current information. In order to receive the internet price, you must either present a copy of the page’s internet price, or specifically mention the internet price to the dealer and have the same referenced in your contract at the time of purchase. *We have taken reasonable efforts to ensure display of accurate data; however, the information shown may contain errors and omissions, may not reflect all vehicle items and accessories, and errors with regard to pricing may occur. All displayed inventory is subject to prior sale and prices shown are for the state in which the dealer is physically located and if transferred to another state, the price may change. Dealer is not responsible for any errors but should be consulted in person to confirm the information on this page. 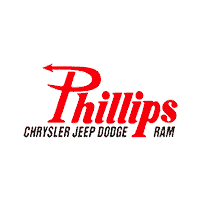 *Phillips Two Year Maintenance on New Vehicles for Marion County Residents includes 3 oil changes and 1 tire rotation for the first 24 months of ownership. N on-transferable. Excludes heavy duty trucks, diesels, commercial vehicles, and specialty models. See dealer for details.